In 1933, twelve days after the apparitions at Beauraing ended, Our Lady appeared again fifty miles away in Banneux, Belgium. Banneux is a small, poor farming village that wasn’t even big enough to appear on a map. Mariette Beco was an 11-year-old girl who came from a poor family. Her father had given up belief in God, and while they were raised Catholic, they did not place much importance on Him in their home. Mariette was notorious for not doing well in catechism classes, and stopped going before she made her First Communion. On the evening of January 15, 1933, Mariette was watching out the front window of her home waiting for her brother. All of a sudden she saw a Lady standing outside, surrounded by a bright light, wearing a white gown and blue sash. She called her mother, who at first didn’t believe her, and then suggested it was a witch. Our Lady motioned for Mariette to go outside, but her mother ordered her to lock the door. The Lady disappeared, and when her brother got home he had the same negative reaction as her mother. Mariette sat at the window the next few nights without any sign of the Lady. She returned to catechism class that week, much to the surprise of the priest. He asked her why she had come, and she told him about the apparition. He didn’t belittle her, but told her to pray for guidance. Later that night, she ran outside of the house as if pushed by a force, and fell to her knees in the front yard. Our Lady appeared to her, and beckoned her to a spring nearby. Her father witnessed the entire episode, and called the parish priest that night to convert! Our Lady appeared to Mariette a number of more times, telling her the spring was for all the nations to bring comfort to the sick and calling herself “the Virgin of the Poor.” People in the town made fun of Mariette, calling her St. Bernadette. Others thought she was influenced by the recent apparitions in Beauraing. Our Lady continued to ask Mariette to pray very much, and she received her First Communion. 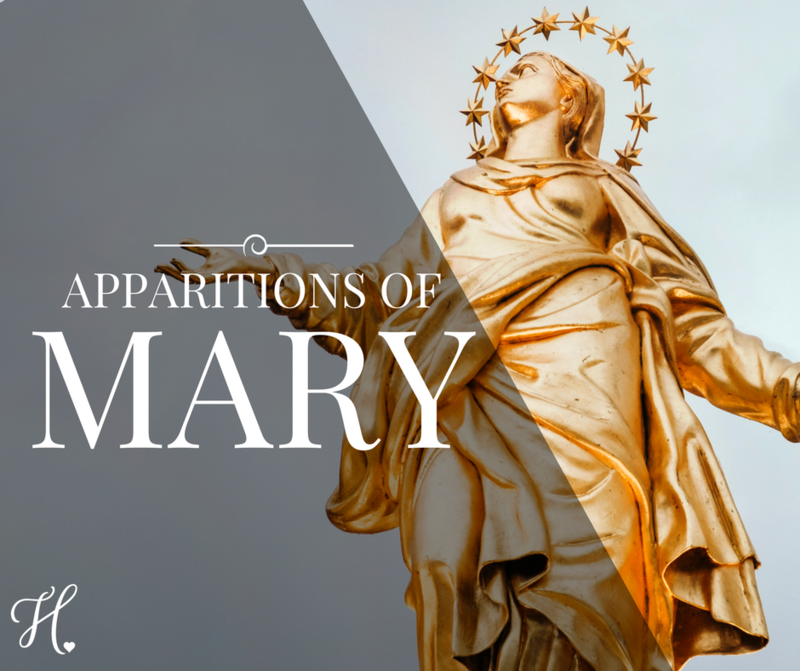 During one apparition she told Mariette, “Believe in me and I will believe in you.” After the apparitions ended, immediate fruits were seen in the town in the forms of miraculous healings and conversions, including in her once apathetic family. A church was built and people still go to the spring seeking healing. Our Lady introduces herself in this apparition as the Virgin of the Poor. She is always close to the poor, especially poor children, wanting to scoop them up into her mother’s arms and relieve their suffering. While Our Lady knew physical poverty on this earth, I wonder if she also was referring to spiritual poverty in this statement. Mariette came from a family of both types. Those of us who come from families that doubt our faith, or even outwardly criticize it, know this cross and can relate. Our Church currently is seeing a trend of spiritually poor families, who don’t believe in God and barely make time for church. Let us pray to the Virgin of the Poor to bring these families back together in faith, with the healing spring of her grace. She also shows us that there is still hope for those “problem” kids (and parents) in CCD classes! Lastly, Our Lady spoke such important words when she said to Mariette, “Believe in me, and I will believe in you.” For those of us who don’t feel the comfort of our families supporting our faith, Our Lady is always here to believe in us. For those of us who don’t know our identity or our purpose in life, or have low self-esteem, Our Lady believes in us. She believes in every single one of us and is there to guide us along the way as the best of mothers. All we have to do is believe in her, and turn to her. How does it change/strengthen your heartto know that Our Lady believes in you?